Canadian Natural Resources (CNRL) hit an important milestone in the third quarter, topping 1 million boe/day for the first time in its history, thanks to strong production out of Horizon, its in-situ facilities and added volumes from Albian Sands. Horizon averaged 156,465 bbl/day of synthetic crude oil (SCO) in the third quarter, down 18% from Q2 due to a 52-day maintenance turnaround that began in mid-September. The company says it has completed optimization and reliability work on the upgrader's fractionation tower, vacuum distillate unit and diluent recovery unit furnaces. The units have since been restarted and continue to ramp-up to normal capacity. The shutdown also included work to tie-in Phase 3 expansion components, which are currently being commissioned and put into service. The company expects December production to average 240,000 bbl/day, about 70,000 bbl/day higher than the upgrader's current nameplate capacity. Full year production guidance at Horizon remains unchanged at 170,000 to 184,000 bbl/day of SCO. Excluding the shutdown, operating cost averaged $20.24/bbl of SCO, a record low for the facility. The Albian Oil Sands Project (AOSP) reported a blow-out quarter, producing 282,700 bbl/day of synthetic crude. CNRL says operating costs at AOSP averaged $24.60/bbl, including upgrading costs. CNRL took over operation of Albian's mining facilities from Shell in June 2017. 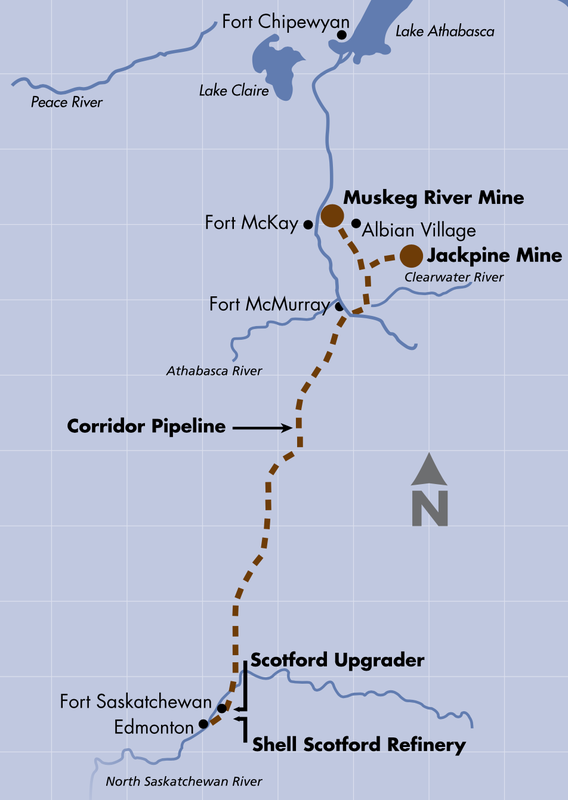 Albian includes the 155,000 bbl/day Muskeg River Mine and 100,000 bbl/day Jackpine Mine, both 70% owned by CNRL. The third quarter reflects the first full quarter of operation under CNRL leadership. Bitumen from both mines is upgraded at the Scotford Upgrader in Fort Saskatchewan, just north of Edmonton, Alberta. Scotford is also 70% owned by CNRL but still operated by Shell's Canadian subsidiary. Thermal in situ production also rose 18% y/y, helped in part by CNRL's acquisition of Shell's Peace River facility. Kirby South produced of 37,157 bbl/day in the third quarter at an average operating cost of $8.94/bbl, down 13% from the previous quarter. Kirby's steam-to-oil ratio (SOR) averaged 2.7 in Q3. Several new wells were drilled this past quarter, which should bring new production online sometime in the first quarter of next year. Civil works continues at the new Kirby North facility, currently under construction. The company says major mechanical work is ramping up, with modules and major equipment installation underway. CNRL says the project is trending ahead of schedule and below budget. Kirby North is expected to produce first oil sometime in the first quarter of 2020. The Primrose facility in Cold Lake also had a decent Q3, averaging 80,668 bbl/day at a cost of $10.24/bbl, including energy. The company says it is continuing its low pressure steamflood at Primrose East, now producing about 43,600 bbl/day. Total in-situ production averaged 122,372 bbl/day in Q3.